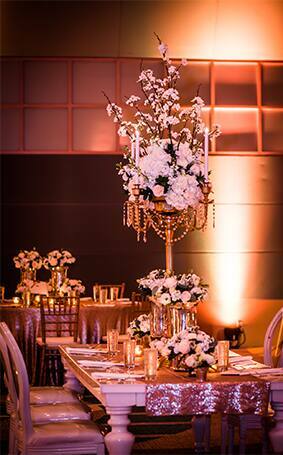 Metallics are a hot trend in the wedding industry right now, and I'm oh so loving all the shimmer they bring to a ballroom reception. 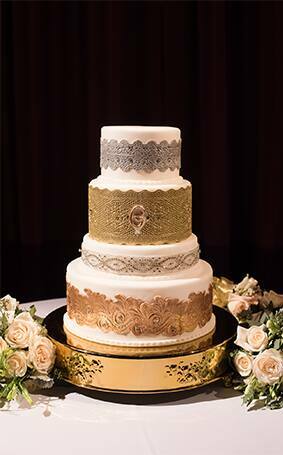 Shower your celebration in decadent golds with hints of sumptuous silvers by adding foil to your wedding cake or draping tables with glittery runners. 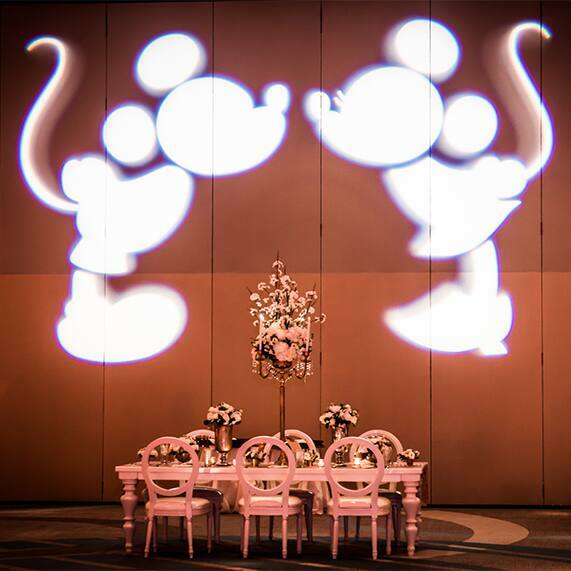 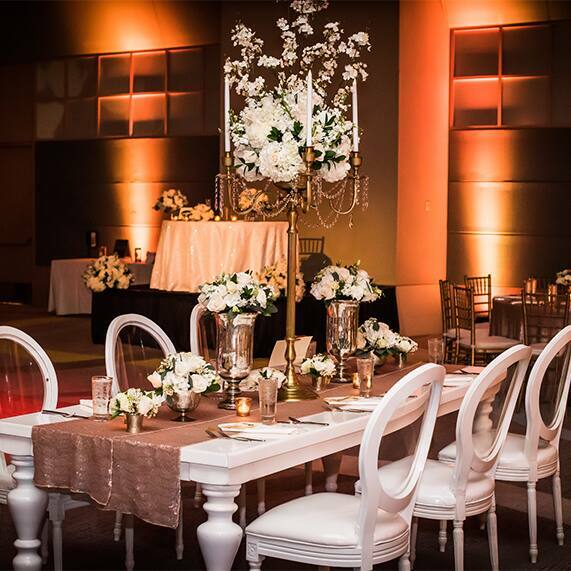 These regal hues combined to create a show-stopping reception at Disney's Contemporary Resort Ballroom, and if you're loving it as much as I do be sure to ask your Disney Wedding Planner on how to get this dreamy look.